Nepal the Amazon of Asia – There are several countries in the world and those countries are well known for their bravura attributes or something special and quite something treasure itself and those staggering features are conferred to those nation via the nature and natural resources which cannot be inseparables somehow in which, there is a gigantic name of a nation from south Asia which lies between to India and China so Nepal is also known as “Yam between of two stones.” The name of the country Nepal is derived from the word of Newar one kind of casts whose permanent resident is around the Kathmandu valley. 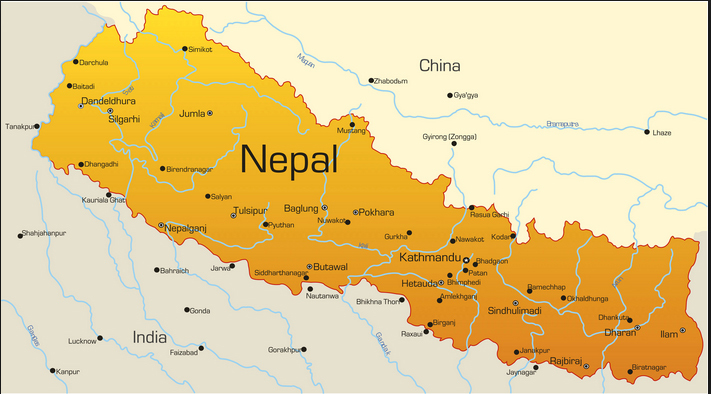 Nepal is a landlocked nation with an area of 147,181 square kilometers (56,827 sq mi). According to the fact data of Nepal Government and Department of pivotal data collection the approximate population of the country is 27 million in which, every ten years the Department speak out on the subject of the Nepal Population. As stated by the land mass this nation is the 93rd largest country and 41st densely populated country. The nation is enclosed to the north by china and to the southeast and west by India as well located in the Himalayas. The highest point on planet is Mount Everest (Sagarmatha) to be found the mountainous north of Nepal has eight of the world’s ten tallest snowy capped mountains. Over 6,000 meters moreover 250 apexes above sea level are to be found In Nepal. As a result, mountaineer from all over the world are showing their wide penchant to overcome with its summit. Likewise, the country is the inhabitant of diverse casts and religion in which from the intact population 81.3% of citizens perform Hinduism,9% of Buddhism,4.4% of Islam,1.4% of Christianity,3.1% of Kiratism and 0.4% of Asceticism even so, these all assorted casts, religion and ritual culture practicing citizens do reverence with each other and they all are like one wreath from different flowers. The history of Nepal was sustained by a monarchy system of Nepalese Shah dynasty of kings and in 1768 B.S(Nepali date) the great king Prithvi Narayan Shah integrated all the small kingdoms throughout the nation and unified it in one country as Nepal. No longer the Shah dynasty run their monarchy system and were abolished in 2005 A.D by the entire people and politician of Nepal and officially named the country as The federal Democratic Republic of Nepal after this radical change Nepal is all-time a massive option for all the nomadic who have keen as mustard to visit Nepal and trek to the various mountainous region. Due to infinite of temples and monasteries Nepal is all the times renowned for the religious devotee too. The unseen treasure of Nepal and its enrich biodiversity is not until now intactly explored, myriad of new sorts could be detected in Nepal. From the world’s total 2.4% is covered by 5980 kinds of different flowering plants and those plants are in the safe haven of Nepal. There is many right set of circumstances to farm any plant from any parts of the world in Nepal due to its apposite latitudinal disparity. Nepal is an iconic nation for flora and fauna as the reason, this nation is the largest deliberation of Royal Bengal tiger in the world as well the nation is out of this world for one –horned Rhino and inaccessible red panda which found in Nepal. It has an indelible wealth of medicinal and fragrant plants for to make conventional and Ayurvedic medications. Eventually we can publicly announce that Nepal is merely worded ,praising Nepal independence, unity, courage, pride, picturesque good looks, development, peace, cultural and biological mixed bag and high respect t to our all clients. So that Nepal is from every facets ‘The Amazon of Asia.